Chandos Deli: Serving up great food and drink to eat in or take away, with locations across the south west of England. Local company Chandos Deli is a family business, with the simple aim of offering fantastic food to its customers. 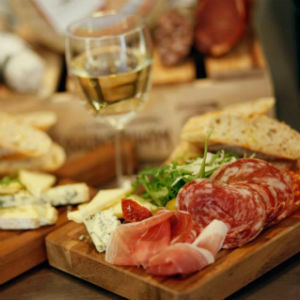 Renowned for sourcing exciting and authentic produce from all over the world, Chandos stocks everything from local farmhouse cheeses to the best charcuterie and antipasti, plus homemade cakes, fresh bread, quality drinks and much more besides. For the finest food, delivered with a personal service and attention to detail, head to Chandos Deli’s Princesshay branch, whether you’re seeking inspiring ingredients, a freshly-made lunch or want to enjoy one of the shop’s regular tasting events. For a full list of food & drink retailers at Princesshay, click here.